Gajalu (2016 / 2073) . 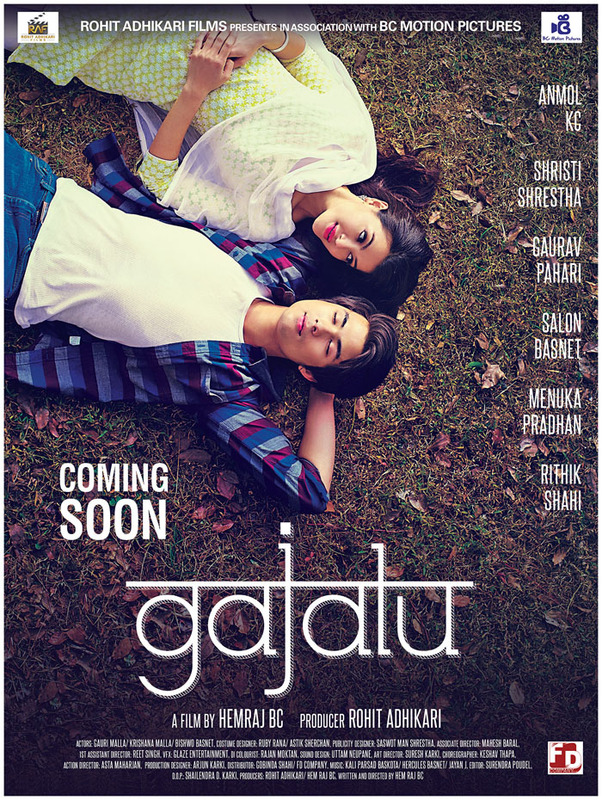 Gajalu is the Nepali Movie starring Anmol KC, Shristi Shrestha, Gaurav Pahari, Salon Basnet. As all the previous moves of Anmol KC was superhit, this movie has also been the most awaited movie for Nepali Movies Fans. The movie is expected to be released on Jestha, 2073 but it's not yet confirmed. A Rohit Adhikari Films presents in association with BC Motions Pictures, A film by Hemraj BC, a Nepali Movie GAJALU.